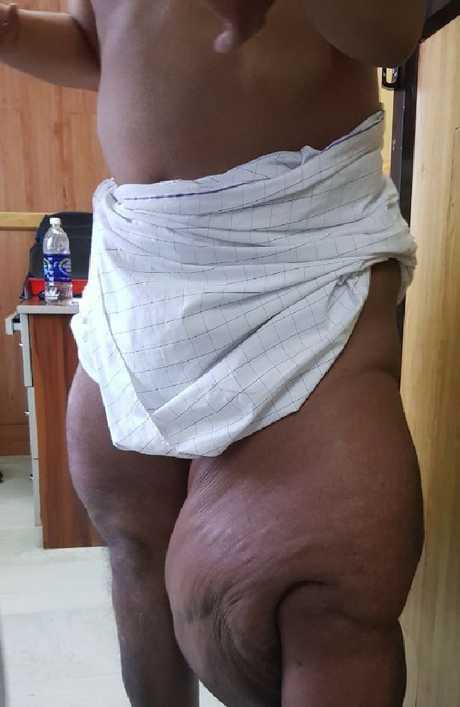 A MAN in India took his first steps in years after medics removed an enormous 14kg mass from his leg - caused by a tiny mosquito bite. The 46-year-old, known only as Saidalavi, was diagnosed with elephantiasis as a teenager after he caught the infection from parasitic worms spread by mosquito bites. 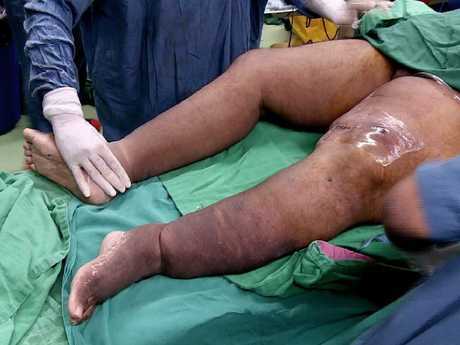 He had been bedridden for two years with the massive lump on his thigh, but surgeons intervened when it got infected. They pumped him full of antibiotics for a month before cutting out the 13.6kg lump. This week, a month after the operation at Amrita Institute of Medical Sciences in Kochi, India, Saidalavi took his first steps in years. Saidalavi said: "I thank the doctors from the bottom of my heart for enabling me to lead a normal life. "It is an amazing feeling to stand on my own two feet without any support." "I had given up all hope and was even worried that my legs would need to be amputated if the infection spread." "I have now got my life back and look forward to taking up a job again." Lymphatic filariasis - known as elephantiasis - is caused by a tropical infection caught from worms transmitted through mosquito bites. Saidalavi was diagnosed with the condition 30 years ago and has had a number of surgeries, but the swelling mass kept getting bigger. A team of five surgeons and three anaesthetists took action when it got infected, and the mass was removed during a five-hour operation. Dr Subramania Iyer, head of plastic and reconstructive surgery, said: "It was a complex surgery. "Several complications could rise because of the patient being overweight and his inability to walk. 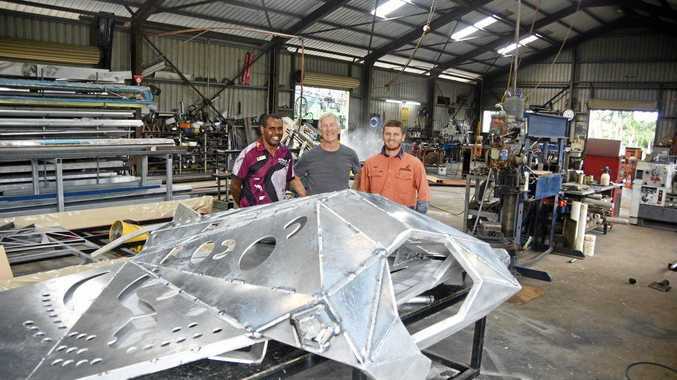 "Saidalavi's physical transfer to the operating table and correct positioning during surgery was also difficult and required meticulous planning." "He will need further reduction surgery on both the legs after six to nine months, and then he will be able to lead a normal life."